So, the short answer to the question above is a simple no, and I am going o give you reasons why. Baby oils can be used for tanning and they achieve faster results by attracting the sun’s rays and evenly distributing them across the skin surface but at what cost? Baby oils lack the SPF (Sun Protection Factors) that are found in other tanning oils. This means that the tanning process, when using baby oils, actually differs from the process that is undergone through when using tanning oils. While tanning oils protect the skin from too much UV rays, baby oils, or any other oils for that matter, attract more sunlight to the skin. Their tanning effect is achieved when these rays burn the skin’s layer of cells making them brown or bronze. This type of tanning effect is actually quite dangerous, cancerous and not safe to perform. Tanning with baby oils can also cause a lot of dehydration. These oils do not protect you from dehydration but actually do the opposite. Most oils are moisturizers, in that, they encourage your body to lose moisture in the process of keeping your skin soft and moisturized. This can be more disastrous if you are actually exposed to the sun which accelerates the process more making you lose more water. It is therefore important for you to hydrate yourself before going through with this process, which is if you want a quick tan. Tans achieved through the use of baby oil are easy to get but they also go away easily. Because they are achieved by burning the skin, the skin can heal itself in a short period of time. This process will be accelerated if you decide to exfoliate. By doing this, you’ll be cleaning away dead skin, your tan, you should, therefore, be careful when performing this quick-result procedure. Well, it’s quite simple. Baby oils are a disaster, especially for indoor tanning beds. When baby oil moisturizes it hits the glass blocking the UV rays. This means that some of your body parts will not tan properly. Using baby oils also affects the glass surface of tanning beds making cleaning a whole lot of nightmares. Baby oils have minerals that cover the acrylic surface of your tanning bed when used. You need methanol or alcohol to clean this up. You can’t do this when the bed is still hot or warm though. You should give it a few hours to cool down before cleaning it or else you may end up spoiling the acrylic on your tanning bed. Well, I wouldn’t advise it but if you really want a quick tan(Read Our Guide “How To Tan Faster”) that is also relatively safe you can use a combination of baby oil and tanning oil. Many people have come forward claiming that this combination of oils works best for their tanning process and have actually recommended this procedure. This tanning oil is relatively new to the market but I’d urge you to go check it out. It contains a mixture of natural ingredients such as Aloe Vera, coconut oil and exotic fruit and nut extracts that moisturize and soften your skin. 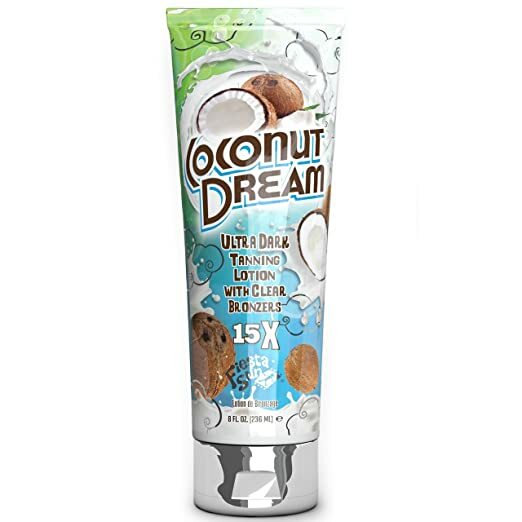 This is also another enriching tanning lotion that helps you achieve that bronze color on your skin while also moisturizing and softening it. It is really smooth, unlike most of its counterparts and it smells great! It also helps in bringing out an even skin tone after a tan and it is also best for individuals with allergic reactions to other types of creams. It is a very quick and safe way for you to get a tan with results being seen in a period of about one week. This tanning oil has SPF properties that protect you from the sun and exotic natural oils that moisturize and soften your skin. It has a five-star rating on Amazon and, having tried it, I would highly recommend you to try it out. 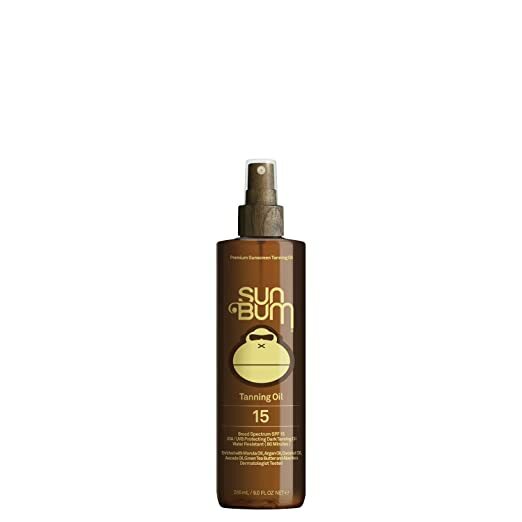 Sun Bum is not oily and its properties protect you from te sun’s rays over extended periods of time. Trust the Bum. Thanks for going through the article and please share your stories and experiences, embarrassing or otherwise, in the comment box below. Don’t forget to share more effects that I may have missed on using baby oil as a tanning agent!